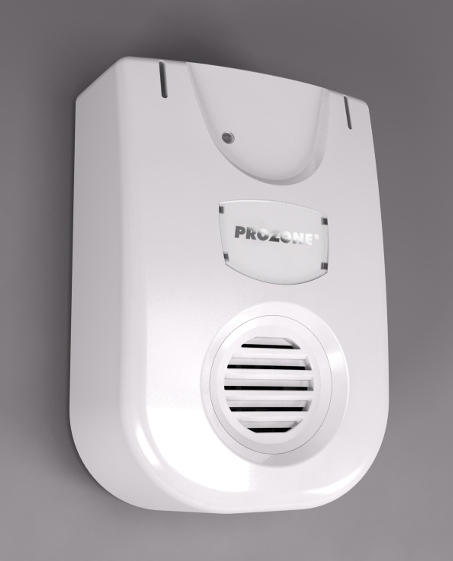 Prozone is an automatic ozone generator and odour neutraliser designed to eliminate unpleasant smells and kill up to 99.5% of airborne viruses in a variety of locations. The standard unit has become a 24/7 operational unit whilst retaining all of the original features including: Adjustable output of O3 from 2mg / hr up to 80 mg/hr enables a single Prozone unit to treat rooms from 10m3 up to 150m3. Can reduce bacteria levels by up to 99.5%!. Flexible use of the unit as a portable unit or fixed installation. Modular fan & ceramic plate are easy and low cost to service. Programmable. The ozone produced by Prozone destroys harmful micro-organisms with which it comes into contact with and breaks down odour causing compounds – therefore neutralising the unpleasant smells they produce.